Unlike a lot of garden pots on the market, these large Atlantis urn planters are so much more than just a container to hold your plants. 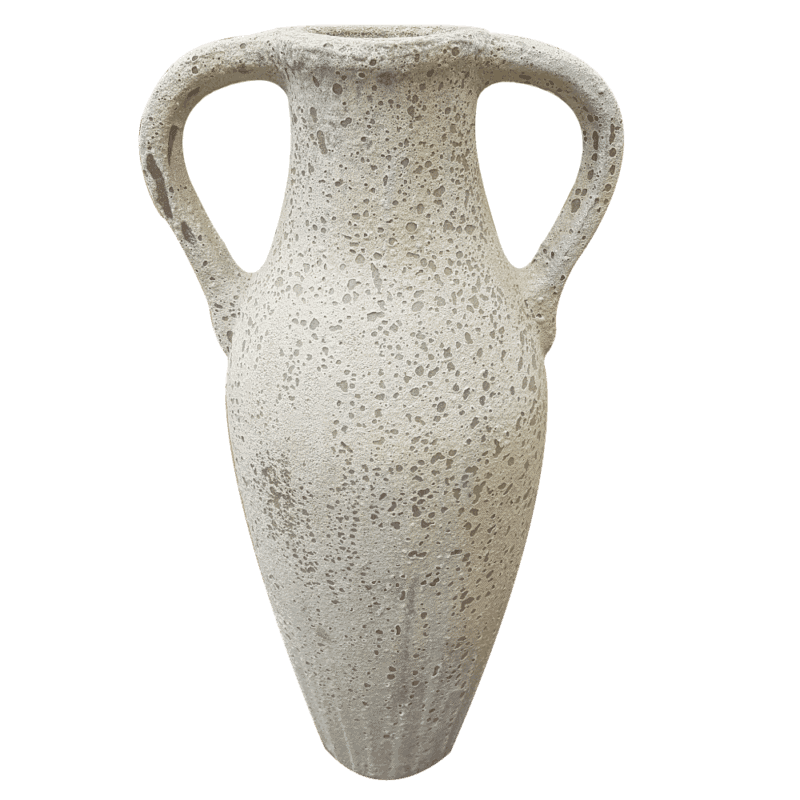 These captivating large urn planters are evocative of a forgotten mythological age. 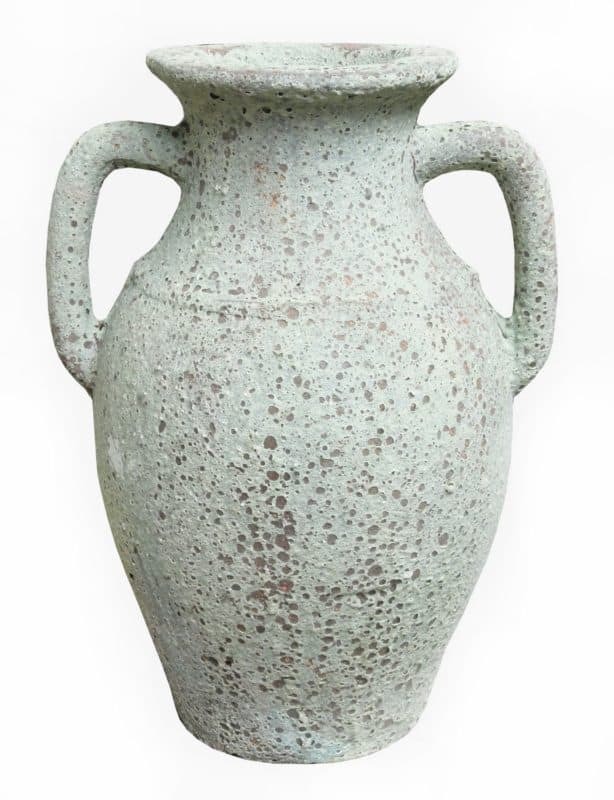 The spectacular mottled and turquoise speckled texture and finish of these elegant planters are inspired by an ancient Greek legend that tells of the lost city of Atlantis which was swallowed by the sea after falling foul of the gods. A perfect way to add a certain classical mystique to your garden and a guaranteed talking point. Random variations in the exterior glazing make each planter a unique item of garden furniture full of antique charm and mystery. Great for outdoor use, fill with a summer bouquet of hydrangea, roses, and ivy; or leave unplanted for a wilder look. Add classical beauty to your garden by filling these pots with a variety of flowering plants; or simply leave unplanted as a curious eye-catching feature that adds a striking aesthetic to your garden scheme. You can punctuate your garden arrangement by distributing these handsome pots throughout the landscape; raise them up on pedestals; or line them along the edge of a garden path. 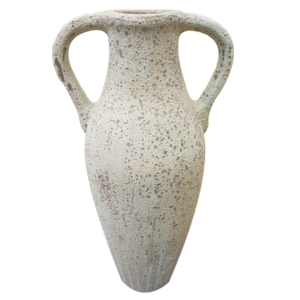 You can also use these large Atlantis urns to lend a touch of classical Grecian style to your front garden as well to catch the eyes of visitors and passers-by. The heavy weighting of these urns ensure they are sturdy enough for displaying in exposed landscapes; but they would work just as well in more intimate, enclosed spaces. You could even add classical grandeur to a large bathroom area by using this urn in combination with a freestanding bath or Roman blinds. Please be awar that the colour and finish can vary as these are a handmade product. Please note that these planters are heavy, weighing around 60kg, and will therefore need to be shipped on pallets. When placing an order, please ensure someone is either available to sign for the item or alternatively arrange a place where the pallet can be unloaded if a signature is unattainable. Due to the heavy weight of these urns, please note the driver will not be able to manhandle the items. Contact our customer service department to discuss any delivery needs you may have.